Before I get to the actual story today I think some back-story is necessary. There are two things you need to know about me to truly appreciate this. First, I hate flies! Second, I am a fly magnet! 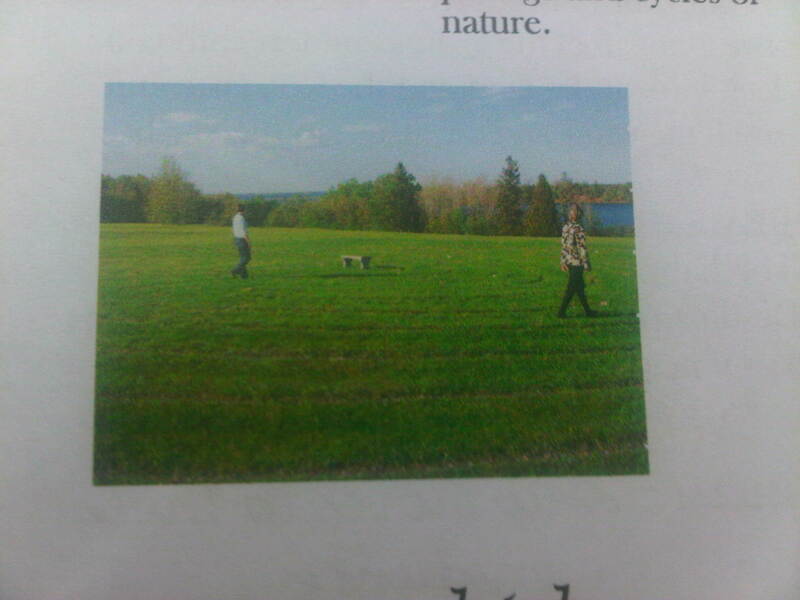 When I was in my early teens I was camping with my parents at Kedji National park in nova Scotia. Almost every day we went for hikes. One early evening we were out for a hike and I saw my first deer fly ever. In fact, I saw many, many deer flies! I have to say I was totally freaking out about the flies; swatting and jumping and begging to go back to the car. My father, in his wisdom, told me to stop complaining and that I was making a big deal out of just a few flies. I did survive the evening and we finally turned around and went back to the car and home to tent-sweet-tent. Years later Dad told me that it was a good thing I couldn’t see my back, as I was totally covered! After supper tonight I walked the Labyrinth at the Tatamagouche Center. As I began the walk I was greeted by a few late season mosquitos. The idea of the walk is as meditation so I took a moment, while brushing off the flies, to decide if I would go ahead even knowing that where there are a few mosquitos there will soon be many more. I persevered. Hands in the pockets of my hooded sweater and the hood up to protect the back of my neck I set out. I am happy to say that, other than not spending any time sitting on the bench at the center, I completed the walk at a good leisurely pace with my mind focused on questions of wanting things I don’t need. 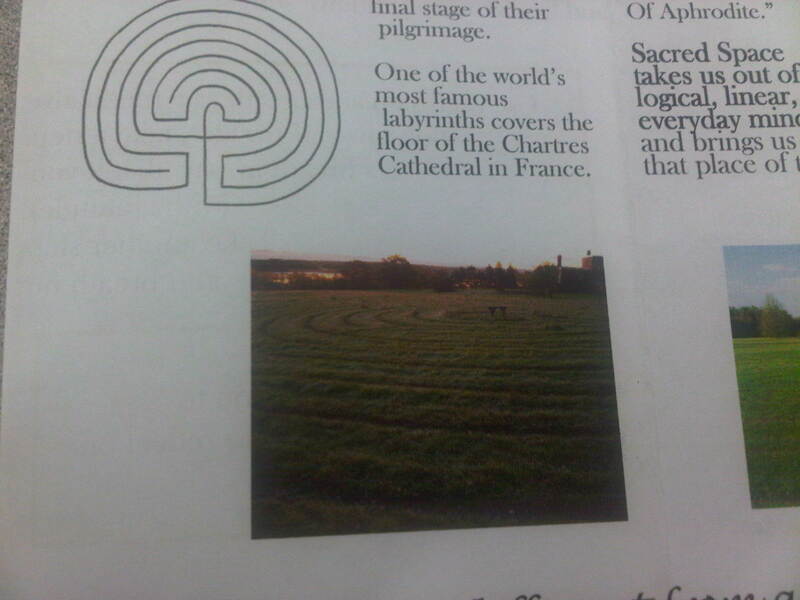 What I noticed was that the structure of labyrinth freed my mind from thinking about where I was going. The focus was on that next step God had laid out for me without looking longingly at the goal ahead. This is something I have not done enough in my life, and I suspect this is the case for many of you as well. If we can ignore the buzzing and biting flies and keep our focus on God’s path as it lights up ahead of us imagine the barriers we won’t even notice. This entry was posted in Faith, Prayers, Reflections and tagged choices, Christianity, mosquitos. deer flies, prayer, reflection, worry. Bookmark the permalink.